Save a further 10% at the checkout this weekend Save an extra at the checkout. 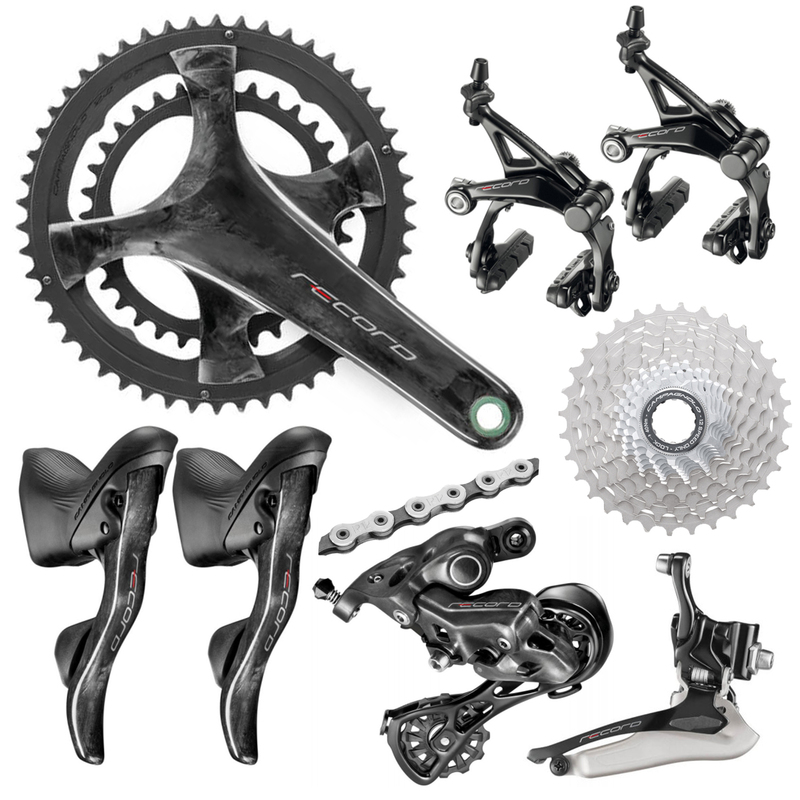 The newly released and updated Campagnolo Record groupset is now 12-Speed, giving the riders a user-friendly spread of gearing to help you ride efficiently in all terrains. The Campagnolo Record 12-speed groupset builder allows you to select from a range of options for your preferred chainset & cassette ratios and crank length.